Cooks Standard Professional Ceramic Knife Sharpener 12-inch/30cm is made of high quality ceramic consisting of Alumina, which is much harder than regular steel. Ceramic is wear resistant, light in weight and prevents rust. 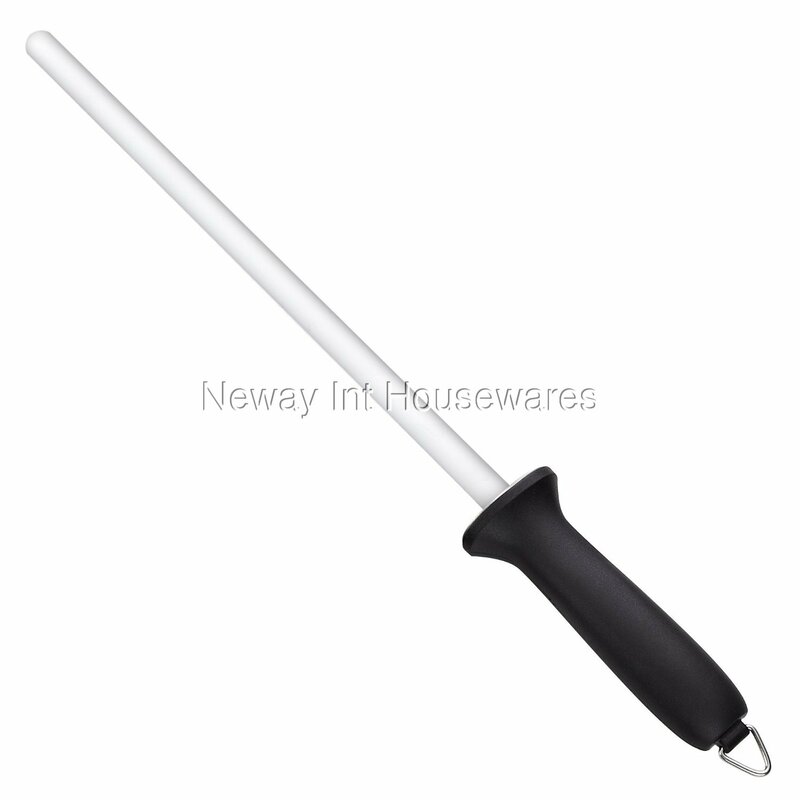 Rod length is 12 inches and has a bottom steel guard for protection and professional use. Ergonomic handle is comfortable and safe to hold, loop for hanging. Hold downward to use. Not break resistant, do not drop on ground or hit on hard surface. Not for serrated edges. Not dishwasher safe, wipe with cloth and dry immediately.